The Professional Fellows Program is pleased to announce the four Fall 2015 Alumni Impact Award (AIA) recipients selected in recognition of the impact they are making on their communities after participating in the Professional Fellows Program. Their outstanding achievements will be acknowledged at the upcoming Fall 2015 Professional Fellows Congress in Washington, D.C., November 10-12, 2015, where they will discuss their work and have the chance to connect with Fellows from around the world. 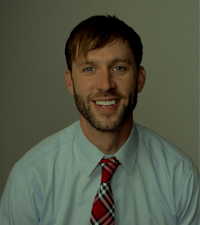 Ken Chartrand is a Re-entry Case Manager at the Franklin County House of Corrections (FCHOC) in Greenfield, MA where he works on rehabilitation and reconciliation issues for post-release, and re-integration for inmates. Ken and his team assisted in hosting two fellows, Anicet Kabarisa from Rwanda and Eric Uma from Uganda. Ken traveled to Rwanda in August 2015, where he witnessed efforts to restore a sense of dignity and community healing that are in some ways similar to the reentry process from incarceration to community in Franklin County. Through participation in the Professional Fellows Program, Ken has helped make connections between people in Massachusetts and Rwanda, and is planning a fundraiser for the youngest survivors of the Rwanda genocide. Chartrand cites his Professional Fellows experience as the start of a lifelong relationship with new Rwandan and Ugandan colleagues, and expects to return in winter of 2015 to work on the fundraiser. Josh Slotnick hosted Professional Fellows participant Payong Srithong in 2013 and traveled to Thailand in 2014. Josh is a Co-Founder of the Program in Ecological Agriculture and Society (PEAS) and the program's 10 acre vegetable farm at the University of Montana. He is also the Co-Founder of the non-profit Garden City Harvest in Missoula, Montana. Josh is a strong proponent of community-based agriculture, and worked with Srithong to create economic opportunities through agriculture for Burmese refugees on the Thai border. He sees the process of growing food together as a way to build communities and lift people up. After participating in the Professional Fellows Program, Josh initiated and led a new university exchange for students to visit Thailand; the first group traveled in January and spent time at a farm he learned about on his trip, and also worked on Payong Srithong's farm. After the exchange, Srithong transformed his farm into a training center, and Josh's students were some of his first guests. 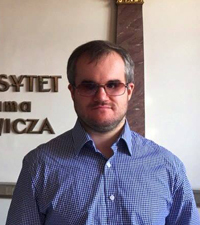 Andrey Tikhonov, a long-time activist for disability rights, credits his fellowship at Chicago Lighthouse with helping him in his work with an NGO that provides persons with disabilities various forms of rehabilitation and teaches them independent living skills. Since his return to Russia from his fellowship he continues to advocate tirelessly for disability rights. Working together with his wife, Andrey teaches young people with disabilities to find adequate mechanisms to protect their rights. They set up a training course which teaches young people with disabilities to be active, independent and develop critical thinking skills through discussions on human, civic and disability rights, democracy and freedom. Andrey states that his mission is to help develop fully-involved citizens. Andrey continues to maintain ties with his former host organization and to create linkages through co-projects. Darin Jamal Hussein works for an NGO in Ramallah called Education for Employment which helps young people find employment, and encourages budding entrepreneurs to start their own businesses. Darin credits her fellowship at the University of Michigan - where she learned best practices the university uses to help students find employment or start their own business - with helping her understand the role of career centers particularly at universities in providing coaching services for young entrepreneurs. Based on her observations of an incubator service in the United States, Darin has adapted the same model and incorporated a similar program as part of the services the NGO provides to young entrepreneurs.